Come celebrate Halloween with the best mead around town! Dan Clapp makes delicious meads at 1634 Meadery right out of Ipswich, MA. 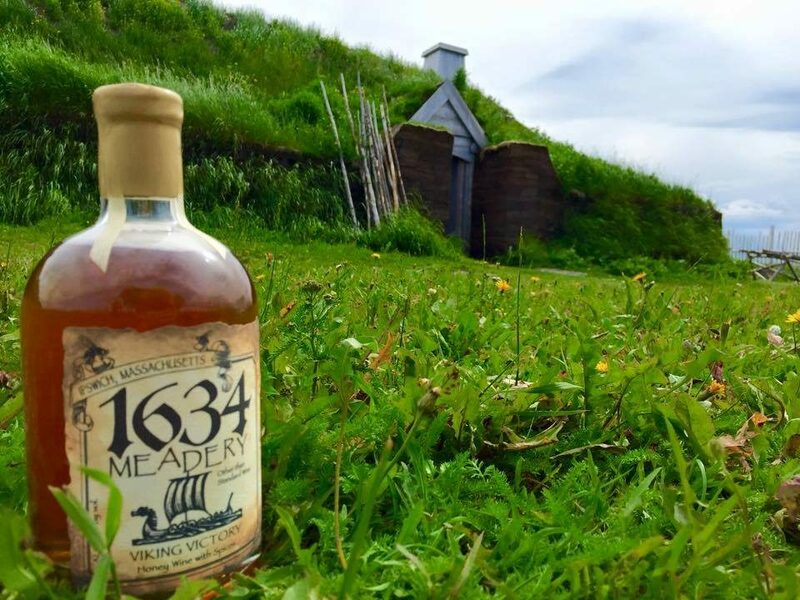 Our friend Donna from 1634 Meadery is pouring the following featured meads this Friday: Beewitched, Wicked Wench, Blueberry Dream, Raspberry Delight, and Choate Bridge Cyser. Honey elixir for all! Mead is fermented with three basic ingredients: honey, yeast and water. Alike to sake not being “rice wine", mead is not “honey wine”. Although it is created using fermented honey, it is not fermented from fruit, even if sometimes it is flavored with different fruit. The honey used to make mead determines the overarching flavor of the mead, and can vary according to a honey bee’s daily intake of nectar and pollen. Traditional mead often uses mild honey like orange blossom, clover or acacia. Wildflower, blackberry and buckwheat honeys produce stronger spiced meads.